This year 78 mushers are signed up to drive dog teams in the Iditarod Trail Sled Dog Race, but only a third of them are women. In the Yukon Quest, only 3 of 26 mushers who started this year were women. Despite the small numbers, many are up-and-coming mushers who are redefining what it means to run dogs. In 1985, Libby Riddles became the first woman ever to win the Iditarod. A grainy YouTube clip from coverage by CBS news shows a crowd gathered on Nome’s front street to greet Riddles. The following year, Susan Butcher won the race and set a new speed record in 11 days and 15 hours. Butcher repeated her win and broke her own record again in 1987. She went on to claim the championship twice more in 1988 and 1990. But a woman hasn’t won the Iditarod since. In fact, the only woman to win another thousand-mile sled dog race in Alaska is Aliy Zirkle. In 2000, Zirkle became the only woman to win the Yukon Quest International Sled Dog Race. Since then she’s tried to claim an Iditarod championship. “Now, when you get competitive, and you learn to train these dogs like they’re athletes, then the sky is limitless,” she said. 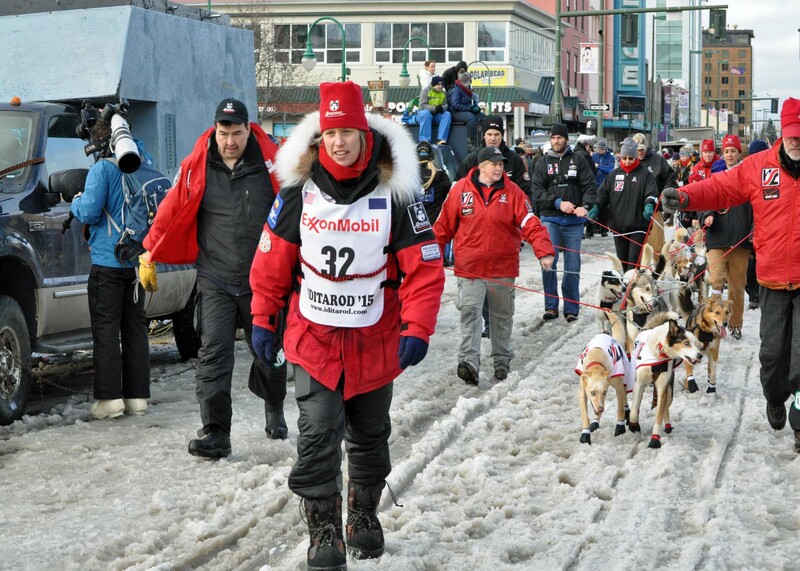 Zirkle has come up short in the Iditarod placing second the last three years in a row. But does it really make a difference if you’re a woman when it comes to long-distance mushing? Olson first started mushing in Alaska under the guidance of Aliy Zirkle. 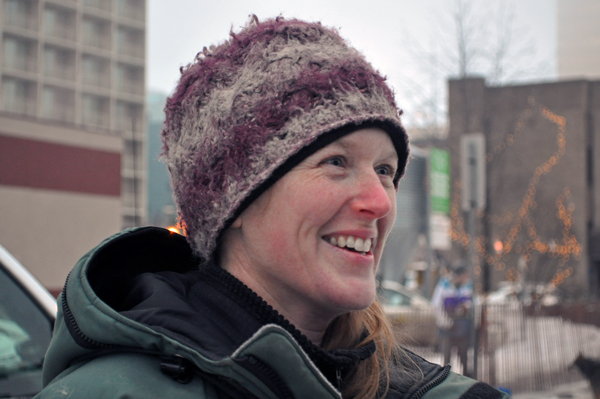 Olson finished her first Iditarod in 2012. She was training a puppy team for Zirkle. Olson just finished a successful Yukon Quest with her own team of yearlings and young dogs. Olson placed third, ahead of Zirkle, in this year’s Copper Basin 300. Zirkle placed sixth. So even though Zirkle won’t have to look over her shoulder for her protégé in this year’s Iditarod, she expects to in the future. But that rivalry is friendly. The relationship among women who mush is something up-and-comer Kristin Knight-Pace says helped get her to the start line of this year’s Yukon Quest for her rookie 1,000-miler. “I think the camaraderie between all of the women who are my friends who are mushers which – oh my gosh, there’s so many – they’re all around my age, they’ve all worked so hard to get to this point and now here we are about to jump off the ledge and do a thousand mile race and man the support system is incredible between all of them,” she said. Knight-Pace also has Iditarod aspirations for the future. This year, she helped train up a few dogs during her Yukon Quest run that will compete on Paige Drobny’s Iditarod team. But Drobny, a two-time Iditarod finisher, says they work well together not because they are women, but because they have similar philosophies on how to raise and race dogs. Of the 25 women who will line out their dog teams at the Iditarod start line this year, at least half a dozen have the potential to finish in the top-20. And then there’s Aliy Zirkle who will try for her first Iditarod win- and the first win by a woman in a quarter century. A group of young female mushers will likely be cheering her on.